It’s not a crossword. It’s not some extreme version of tic-tac-toe. So what is KENKEN and where did it come from? Simply put, it’s a grid-based numerical puzzle that uses the basic math operations: addition, subtraction, multiplication, and division, while also challenging your logic and problem solving skills. 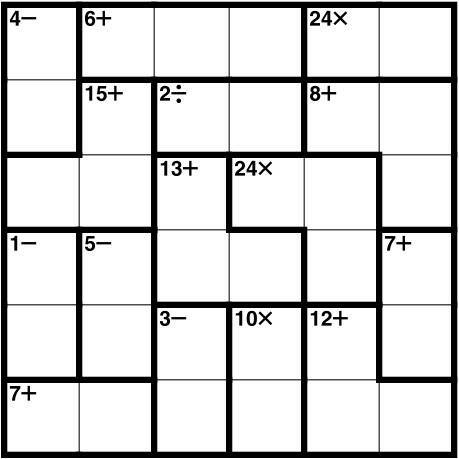 By altering the size of a KENKEN grid, from 3 x 3 up to 9 x 9, and employing different combinations of the math operations, five different difficulty levels can be generated, and a seemingly endless number of puzzles. (And many players seem determined to try them all!) In a way, KENKEN is like a game of pool or even chess: The more you think ahead to your next move and consider all the possible outcomes, the better you’ll get—and the smarter you’ll become! Visit www.kenken.com for FREE puzzles! Here is a great list of web resources located on the Project ALPHA website. 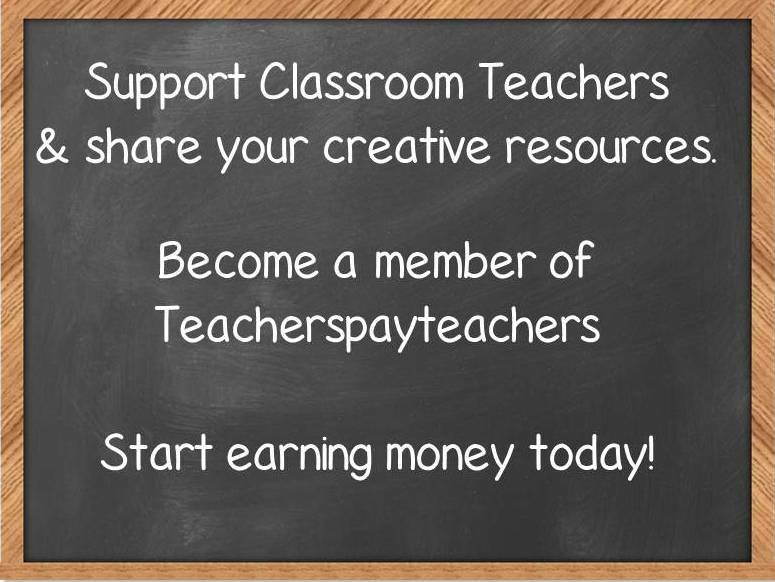 FREE Math Clip Art Images (Not just Math!) - Really, Totally FREE! Who doesn't love FREE? Especially Free Clip Art images. Finding royalty free, copyright free and cost free clip art can be difficult, but there are some great resources available....just hard to find! 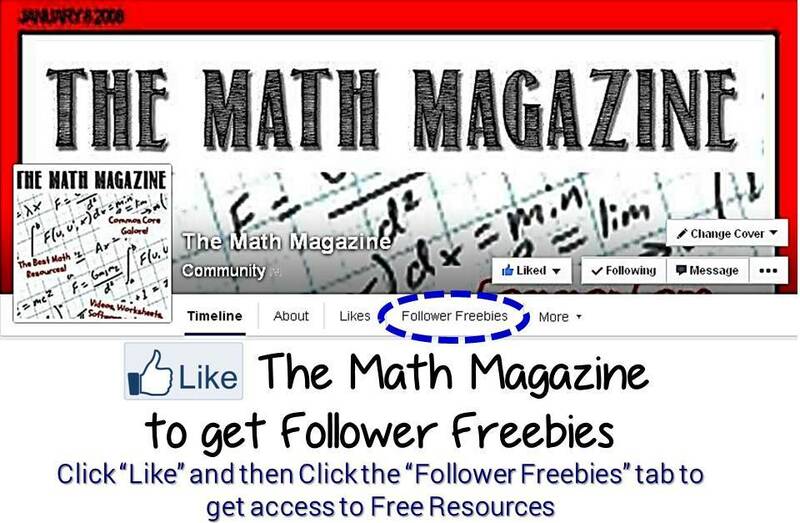 Leave it to The Math Magazine to uncover this great website full of the best kind of clip art images - FREE! Project-based learning, or PBL, has gained popularity over the past few years as an active approach to learning. Centered around a specific, real-world question or problem, projects are usually collaborative endeavors intended to engage students deeply in a topic and help them develop critical thinking, creativity, communication, and other life skills. While there are many advantages to PBL lessons, actually implementing one in your classroom can seem overwhelming. These resources can help you and your students make the most of project-based learning. A really easy to use FREE software that lets you make custom graph paper. Downloads in a snap and super easy to use! Check it out! GPAPER.ZIP - Graph Paper Printer allows you to make a wide variety of graph paper with your printer. The software can create log, polar, hexagonal, or several other types of graph paper. Math Resources: They are Everywhere! I plan to use Interactive Notebooks next year, so I have made it my mission to locate printables, templates, foldables and ideas to make implementing this strategy a little easier. I found this blog that pertains to teaching math to students with disabilities and WOW! was I surprised that this teacher has some great ideas for notebooking! So I took all the ideas that I found interesting and compiled them into one document. Note: I put a coversheet on the packet so that I could give credit to the original teacher.